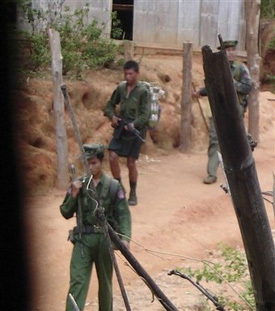 UN Secretary General states that impunity by Burma’s authorities regarding human rights violations could risk serious international consequences. The UN Secretary General’s statement followed a report by the UN Special Rapporteur on Human Rights in Burma, who warned that events in Rakhine State could constitute crimes against humanity. A 2013 report investigating anti-Muslim violence in Burma by the Physicians for Human Rights, estimated that 250,000 people had been displaced and more than 10,000 homes destroyed since June 2011 – although there is no exact figure, international human rights groups and media reports have estimated that hundreds have died in the inter-communal violence. Burma Campaign UK, a human rights advocacy organisation, questioned whether the statement by the UN Secretary General would have much impact. “Given that the UN has already warned that violations against the Rohingya may violate international law, and there is ample evidence that the policies that lead to these violations come from the very top of government, it is unlikely any voluntary action will be taken to end impunity,” Anna Roberts, Executive Director of Burma Campaign UK, said. Ms Roberts called for an international investigation into human rights abuses in Burma.